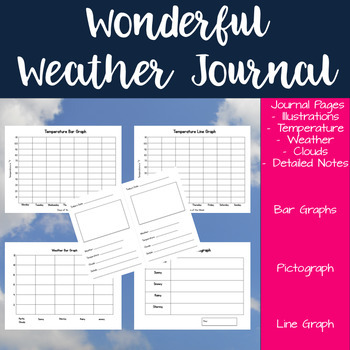 My Wonderful Weather Journal is a great tool for students to use to record the weather during your weather unit. 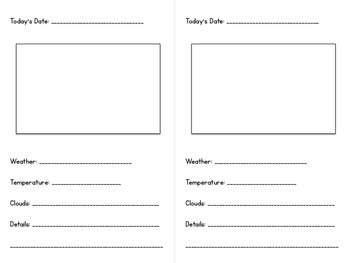 The journal includes 20 daily pages for recording the weather, temperature, types of clouds, and additional details. The additional details section is a great place for students to record any other sounds, smells, and sights. 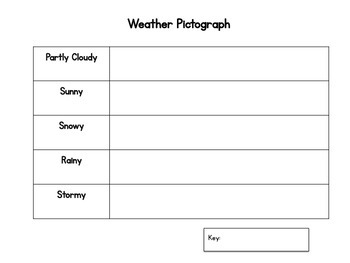 This is a great way for students to record observations that can be used in their writing! 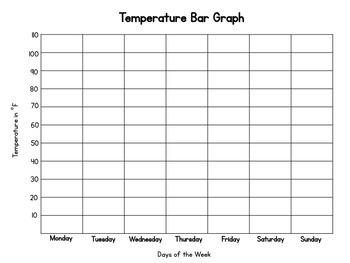 The data students collect can be used on any of the graphs included in this weather journal (2 bar graphs, 1 pictograph, and 1 line graph). All graphing is aligned with Common Core Math Standards. Rocks and Minerals Vocabulary Games and Wall Display. Social Studies, Science, Economy, and Democracy Choice Boards and Menus. Test Ready Bundle: 3rd Grade. Copyright © Jessica Zannini. All rights reserved by the author. This product is for the original downloader only. Duplication for an entire school, school system, or for commercial purposes is strictly forbidden. This product may not be distributed or displayed digitally for public view. Failure to comply is a copyright infringement and a violation of the Digital Millennium Copyright Act (DMCA). Clipart and elements found in this PDF are copyrighted and cannot be extracted and used outside of this file without permission or license. This product is intended for classroom and personal use ONLY. Clip-art and font credits are provided in the product file.